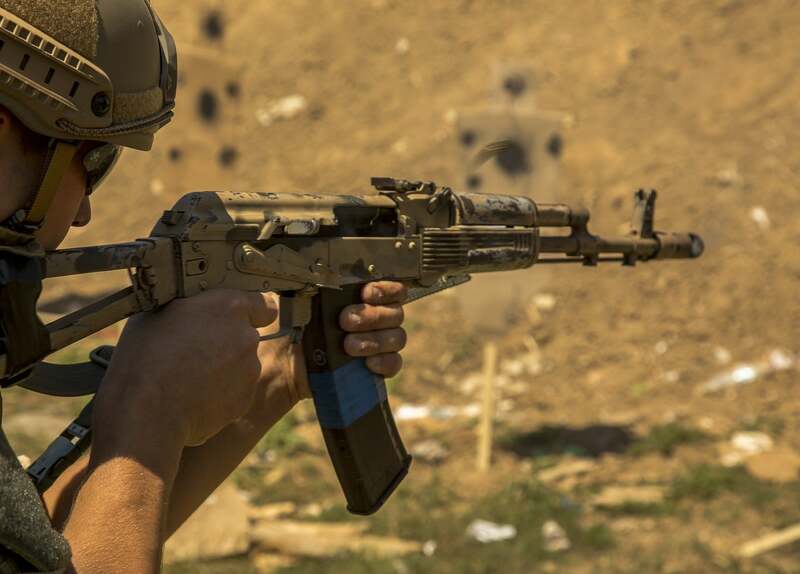 China vs Russia: Who Makes The Best Kalashnikov? The Avtomat Kalashnikova is perhaps one of the best known weapons in history. Better known as the AK-47, or simply Kalashnikov, there is not a nation on earth that has not heard of this rifle. Originally created by Mikhail Kalashnikov, this rifle has a reputation for being rugged, nearly indestructible and reliable under the harshest conditions. However, since its inception in 1945 it has undergone several changes and improvements. Several other manufacturers have attempted to create a better version of the AK-47 leading to a Russia vs China debate over who’s is the best. While the original model of the AK-47 was manufactured in Russia, most of the weapons in circulation now were made in other countries. Vladimir Onokoy, a former security contractor shared his views on the subject in an article for Russia Beyond. He explains that in the early 1950s Russia and China were involved in a symbiotic relationship of technology exchange. Some of the information given to China by the Soviet Union included information on the design of the Kalashnikov. No one thought that one day there would be a Russia vs China conflict where this information would be used against them. In 1968 there was a massive border conflict between the two countries, and the Russian troops found themselves facing an enemy that was armed with rifles based on the Kalashnikov design. The Soviets had helped china build factories and learn how to make the well designed weapon, and that generosity was now turning into a thorn in their side. China built more than 12 factories to create the Ak-47 and began to flood the market with them. Their quality was nowhere near that of the original Soviet rifle, but they sheer numbers produced began to make them readily available. China vs Russia in terms of production would definitely be a victory for China. According to Americans who purchased civilian grade AK-47s from Chinese manufacturers prior to the government ban on them in 1993, they are excellent weapons. Many people who still own them have no interest in selling them. However, many US military personnel who have encountered military grade weapons made by the Chinese say they are not very reliable. It seems that China launched a new model of the AK in 1995, replacing the model 56. While their original reproduction of the rifle was well built, the new QBZ-95 lacked the quality of previous weapons. In fact there are many reports of parts not being machined properly, weapons jamming on a regular basis, and an overall lack of proper fit and finish to the assembled weapons. China vs Russia in terms of quality is a big win for the Soviet Kalashnikov. In terms of quality the Soviet AK-47 is definitely the top dog. These weapons fetch a premium price on the market, and most people who own them will not let them go cheap. The Chinese model 56 is a close second, and while they look a little crude at first glance, they are reliable weapons that can last a lifetime. However, the newer models created in China are junk in terms of quality. While they can be purchased at very low prices, you get what you pay for when you buy an AK. China vs Russia is a close battle when you put price and quality together as factors. The Chinese model 56 seems like a good middle of the road choice, but if you really want a weapon to pass on for generations to come a Soviet Kalashnikov is the way to go.